This is the story of a former fat woman's love and work, as she cycles between being thin and rebounding. A sweet, and slightly bitter story of how she overcomes the hurdles of life with her fatso power and struggles to find her best weight, and who she really is. At age 20, she weighed 78 kilograms, but after being rejected by a guy she went on a massive diet and got down to 45 kilograms. Just when she was thinking that her life was about to turn around, she fell in love with a hot pastry chef, and rebounds back up to 78kg as she eats his cakes. Then she's fired from the fashion job she loved! Will she choose love? Or her work? A realistic story of a girl in her 20s who wants to be happy. 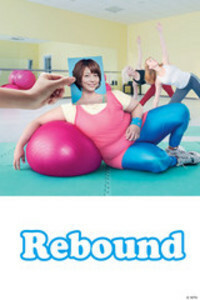 Let's try to think of a way of living like ourselves without rebounding!